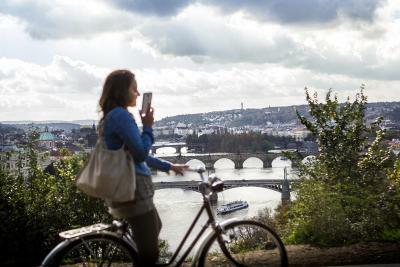 Lock in a great price for Plus Prague – rated 8.3 by recent guests! Recommended property for friends and students. The DJ in opera restaurant plays amazing music while you can enjoy playing games. Best hostel I’ve ever stayed at. 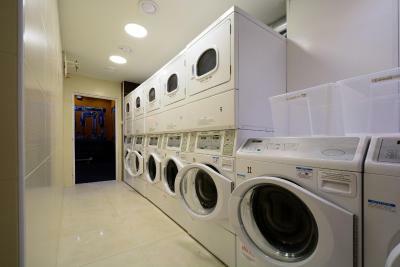 Facilities are clean and come stocked with new soap and toilet paper. Staff are helpful and friendly. Rooms are spacious and comfortable. Common area is nice to relax. There is a pool and a sauna free of charge, and a fully equipped gym. I can’t wait to come back and stay here. Nice staff, clean facilities, free shampoo sachets (which was good because I forgot my shampoo), Providing me will a big towel was very convenient, I travel light and my towel is more of a flannel. If I need to return to Prague I will return here. 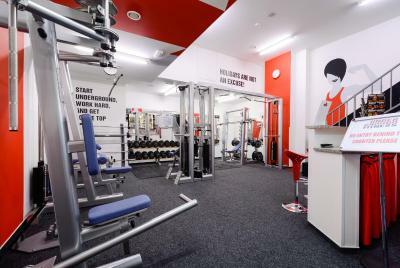 The facilities and the general atmosphere of the place. This was the best hostel I have ever used! 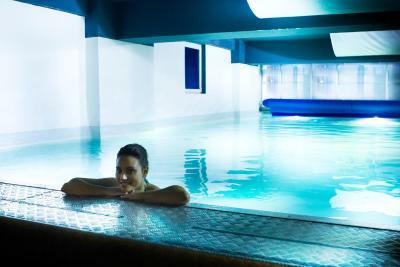 Very affordable, very neat, amazing facilities including pool and sauna, hahahaha. I love Prague Plus and I will recommend it to anyone. I like the staffs. All of them were very helpful! Shout out to Allan who assisted me all through out my stay. The pool and the sauna are really nice. I had some issues with weird guy in my room, and reception switched my room right away. Facilities are really good. 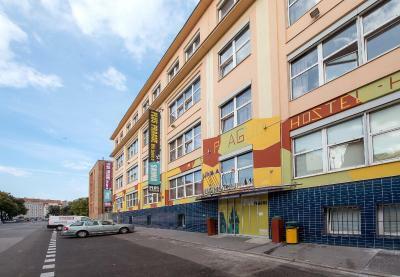 Plus Prague This rating is a reflection of how the property compares to the industry standard when it comes to price, facilities and services available. It's based on a self-evaluation by the property. Use this rating to help choose your stay! 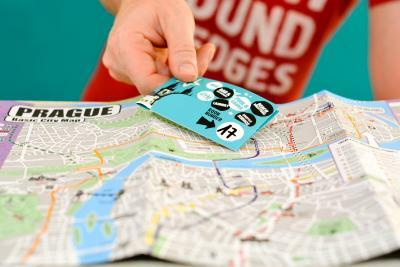 One of our best sellers in Prague! 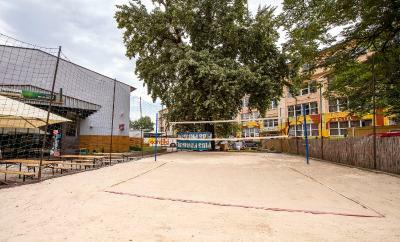 In a quiet residential area, 1 tram stop and a 2-minute walk from the Nadrazi Holesovice Train and Metro Station, Plus Prague has rooms with private bathrooms, an indoor pool, a sauna and free internet access. The Ortenovo namesti Tram Stop provides direct services to the Old Town. 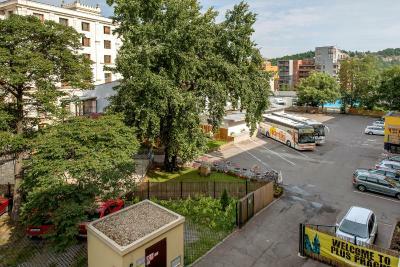 The nearby Vystaviste convention center, the Incheba Arena and the Tesla Arena are easily reachable by tram within 10 minutes. Charles Bridge and the Lesser Town can be reached by tram in 20 minutes. 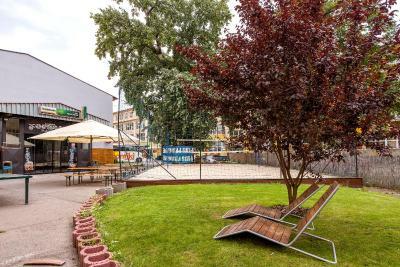 Plus Prague's chill-out area with a large-screen TV and free internet stations, the indoor pool, open all year, and the sauna are great for relaxing after a day of exploring Prague. Czech and international cuisine and a buffet breakfast can be enjoyed in the family-run self-service restaurant. 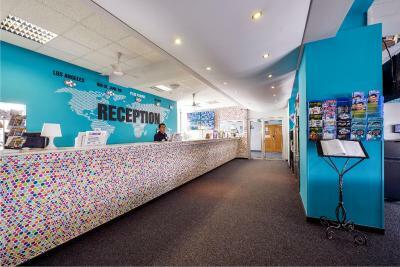 Secure parking and multilingual staff at the 24-hour front desk provide for a trouble-free stay. When would you like to stay at Plus Prague? 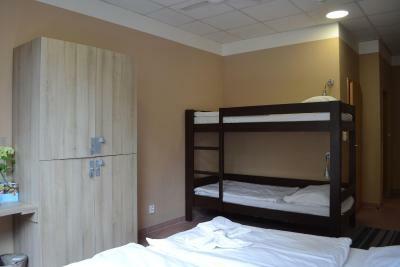 Standard Twin Room contains 2 single beds, and private toilet and bathroom with shower. 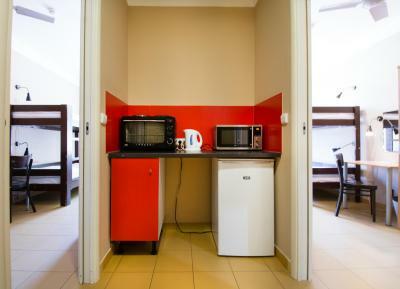 Triple Room contains 3 single beds, and a private bathroom with shower and toilet. 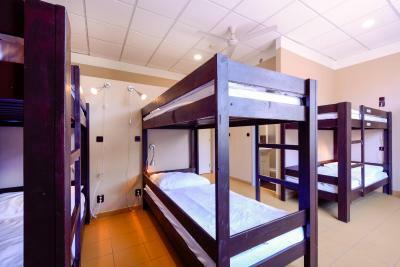 This Family Room contains 2 single beds and one bunk bed, and a private bathroom with shower and toilet. This is one bed in a shared dormitory room for 4 people. 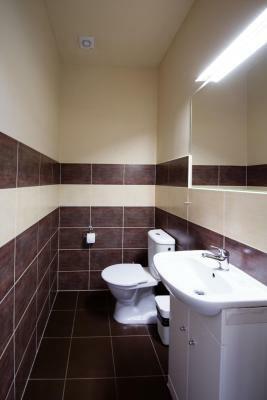 The bathroom is located in the room. 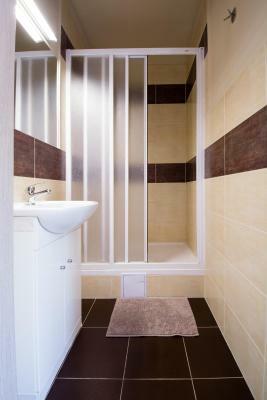 Bed linen is provided and a towel can be rented for an extra cost. Children under the age of 16 are not permitted in shared rooms. This is one bed in a shared dormitory room for 6 people. 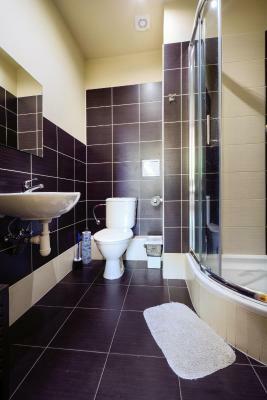 The bathroom is located in the room. 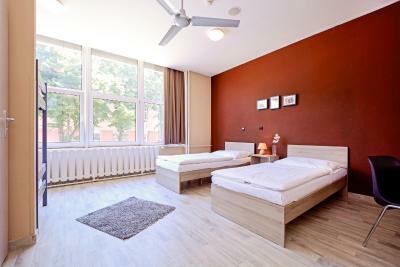 Bed linen is provided and a towel can be rented for an extra cost. This is one bed in a shared dormitory room for 8 people. The bathroom is located in the room. Bed linen is provided and a towel can be rented for an extra cost. At PLUS Prague we provide independent travellers of all ages with high quality accommodation bursting with amazing facilities. 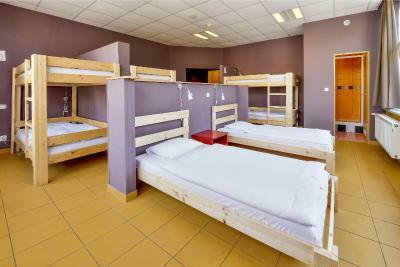 With low cost dorms and private rooms our aim is to give you a 5star experience at a fraction of the cost. For credit card transactions there is a 3percent service charge. We recommend paying in local currency. House Rules Plus Prague takes special requests – add in the next step! Plus Prague accepts these cards and reserves the right to temporarily hold an amount prior to arrival. Please note that children under age 16 cannot be accommodated in shared or dormitory rooms. Stag and hen parties can be accommodated only with special permissions. Please note that for bookings with standard conditions, payment is due upon arrival. Guests paying in local currency or by credit card might notice a difference in room rate due to the currency exchange rates. 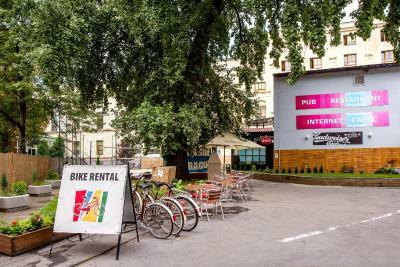 Please note that while the property accepts payment in EUR notes, they cannot accept EUR coins and change will be issued in the local currency (CZK). Please note that secured parking is available for a charge of EUR 10 per day. Reservations are advisable as spaces are limited. Small pets must be confirmed in advance by email and cannot be accommodated in shared dorms. Please note that swimming pool is available for free from 7:00 until 22:00. The noise!! DO NOT stay if you value a good nights sleep. The hostel was full of large groups of teens, who were having a ball but with little consideration for the effect their partying, running, door slamming, laughing, arguing and general roudiness would have upon others - midnight and well beyond was no barrier. Hostel staff did intervene one night when we asked, but to little effect. 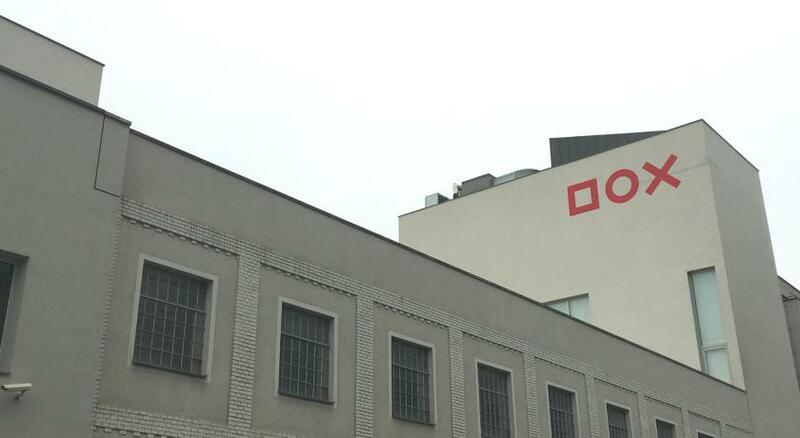 There appeared to be little follow up with either the group leaders taking responsibility for keeping g the noise under control or the hostel staff ensuring that the noise regulations were adhered to on subsequent nights. Ultimately we were left to plea for some quiet both before and after hostel staff intervention and in its absence. Good, basic, clean accommodation. Friendly helpful staff. Near to the tram - easy to get into central Prague. Cold water in the pool, staff didint speak czech in Czech republic. :D But everything else just perfect. 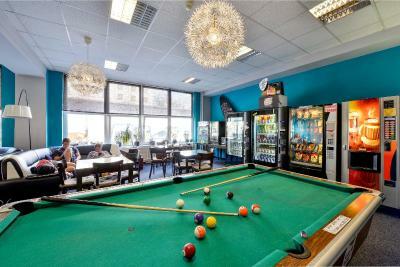 Great price for all the facilities - pool, fitcentrum, sauna, billiard.. Typical book exchange, small kitchen, own restaurant&bar, fine breakfast (good price) and other meals.. Good location, few mins from centre. Super peaceful . Chris and Jerry are amazing people you get welcomed at the desk. Surely they make your stay charming . Always smiling and eager to help. Super clean and after staying at many properties in Prague . I can challenge openly that this place makes it the best place to stay . 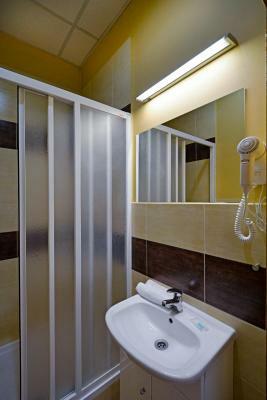 Super clean and spacious beds , the bathrooms being separate gives better cleanliness . 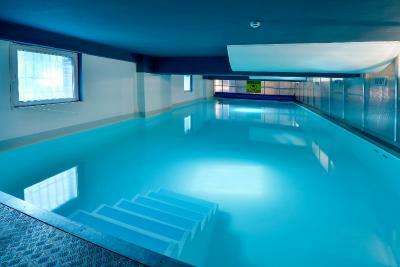 And you get a topping of pool and sauna for the hostel. This is like a four star hotel property turned into a hostel . Definitely super recommended. Perfect service. They pool was in maintenance but they offered free sauna and sincere apology. Location's great, friendly staff. The WC and the bathroom is in the room. The room on entering was nice, do not be fooled by that impression, it was filthy, under my matches was dust and dirt shower room had not being cleaned properly, all over the window sills is dust above wardrobes dirt, on radiators covered with dirt, mill due on shower glass, yes I went to Chris he sent in a cleaner to clean the appropriate areas, I extended my stay moved into another room, that was filthy, One off the reception staff this morning was very Rude to me, Geraldine, Martin whom informed me was the boss, was negative in the situaton, I packed my stuff and left, never have I had a situation like this, also I reported 4 times, they have a safety rail on entering the building ; it's dangerous, as I'm qualified in health and safety in England I was only pointing out a major incident, no, nothing to this point action carried out, I have a meeting with health and safety in Prague on this matter.. Upon entering the building I was greeted by a gentleman call Chris, from Australia, impeccable manners from start off my trip to the end, this is where the good news end. You should pay for using WiFi. I stayed in a room with private bathroom and in my case, I found the bathroom a bit dirty and old. The sink had water clogging, I informed at the reception and the person did not turn up despite 2 repeated reminders and then the problem was solved the next day. The breakfast was rather disappointing, I wouldn't recommend it. 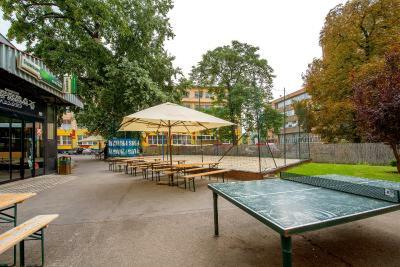 The location is good, close to the tram stop and super market. As you enter the property will give you very young vibe, so that's pretty cool. The staff is also very friendly and young.